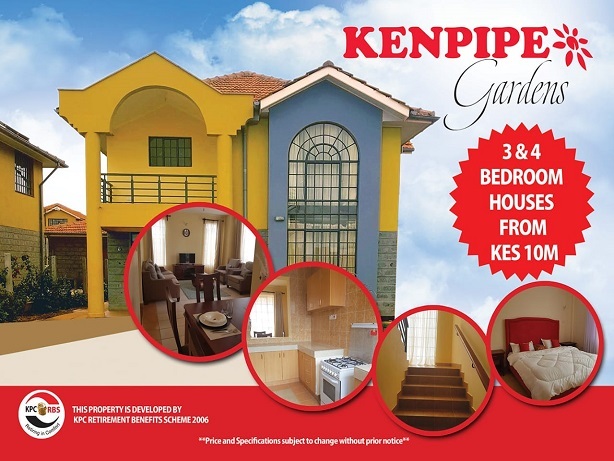 The Kenya Pipeline Company Retirement Benefits Scheme (KPCRBS) has developed fully detached 3-bedroom and 4-bedroom units in Kitengela called Kenpipe Gardens. 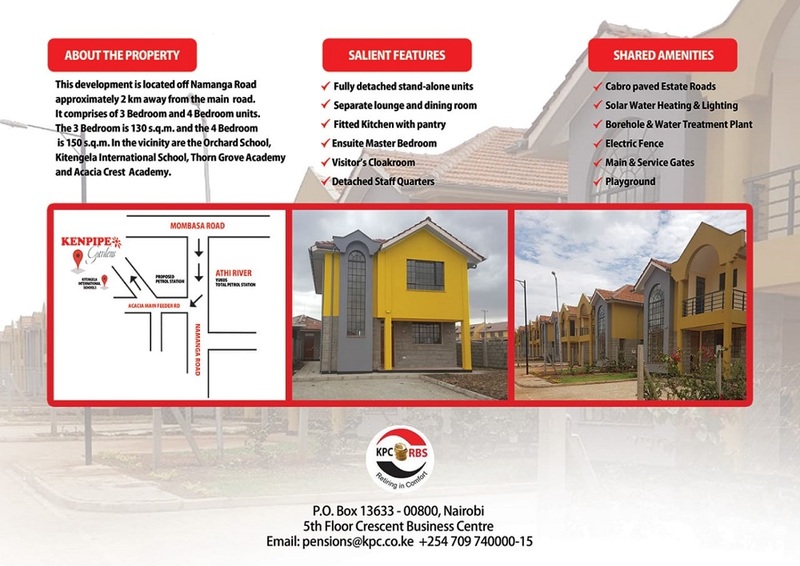 They are located off Namanga Road approximately 2 kilometers from the main road near Kitengela International School, Thorn Grove Academy and Orchard School. Welcome to see the newest houses on sale at an affordable price.